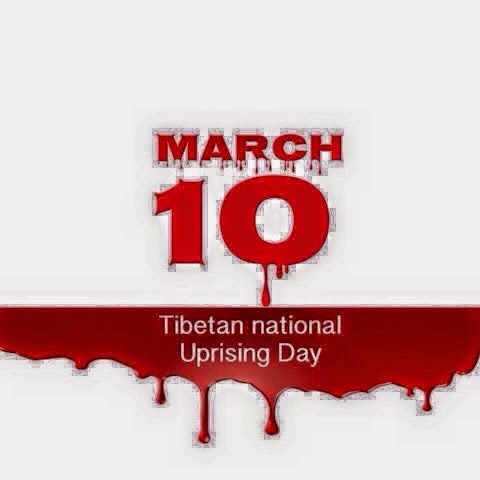 After watching and reading numerous videos, postings and comments on social media networks including Facebook on the unfortunate March 10 Uprising event in New York, every Tibetan must have one and only one question - What should we do to correct this? This event has turned out to be a black day in Tibetan American history. Though history will always remain, it's a lesson we need to learn. Looking at the "You" "We" and "They" accusations on the social media among two groups (as coined by a NYPD cop in one of the Facebook video), it seems impossible for these organizational members to sort the matter internally. However, if these accusations remain active on the social media, the existing crack that divides the entire Tibetan community is sure to widen. Based on the social media videos, I don't see a glimmer of hope that these organizational members will sit, talk and resolve the prevailing differences. Then, the question is who should jump in? As far as my understanding goes, it is the responsibility of The Office of Tibet based in Washington DC - the official agency of His Holiness the Dalai Lama and the Tibetan Administration-in-exile, based in Dharamsala, India (Source: Tibet Office). As a concerned citizen, I would like to propose agenda for the meeting that might help resolve this issue. The Office of Tibet needs to issue an urgent notice to the president/executive director of organizations who were involved in this unfortunate March 10 Uprising event in New York requesting its executive members to refrain from postings, commenting and sharing on any social media networks. This notice could also carry invitation (only president/executive director) for the urgent meeting. This meeting should be chaired by the representative and two Members of Parliament from North America. Optional: It would be helpful to invite selective Tibetan professionals in North America as an observer/reviewer. Share meeting minutes and all other documents to the general public for information only. Please feel free to add more agenda to the list by leaving your comment below. We, as a citizen, needs to be active in issues concerning the Tibetan freedom movement. Please share far and wide among your friends, relatives and on social medias. and What is happening with RTYC NYNJ? We had a lot of last minute decorations to add, and the staff was eager and willing to help. The live music nyc was amazing. They have extremely unique and tasty food. Also this place has great views and beautiful big rooms.